Vegetable Nutrition Facts - lose fat by eating more vegetables! 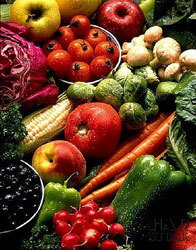 Vegetable nutrition facts reveal the power of Mother Nature to nourish human beings. If you want to lose fat you must eat more vegetables! Do you have any idea how these plant foods prevent and reverse disease? Obesity IS a disease. This is nature's medicine cabinet. The wisdom of the human body makes it possible for us to heal ourselves and lose fat when given the proper raw materials. Broccoli tops the list of vegetables for nutrient content! It needs to be part of your anti-cancer diet as do all the cruciferous veggies. Protects you against cancer because they are rich in indoles, a potent anticancer phytochemical. The dark greens cruciferous veggies are extremely high in carotenoids, pigments with antioxidant effects. High in vitamins C, K, E, calcium, phosphorous, potassium, contains B complex, fiber, iron, folate. Super immune system support, also benefit cardiovascular, nervous, glandular, digestive, detoxification, muscular, skeletal and respiratory systems. Slows aging, slows growth of cataracts, lowers cholesterol, fights free radicals. Protection from common cold and seasonal allergies. Vegetable nutrition facts about beets need to include an understanding of the concentrated nutrient impact of beets. So concentrated in fact, that many natural vitamins are derived from small amounts of them. Beets have powerful detoxifying properties as well as contain important phytochemicals for fighting cancer. 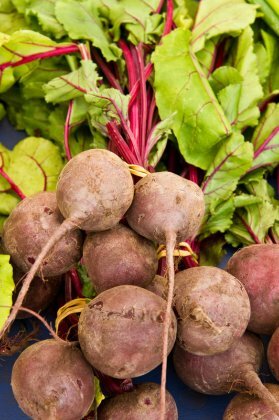 They contain folate, iron, calcium, iron, magnesium, phosphorous, carotene, B complex, vitamin C.
Beets and their tops contain substances that protect the liver and stimulate the flow of bile. Yes, they need to be part of your anti-cancer diet and in fact have been used successfully in cancer therapies. Beet tops or greens have exceptionally high carotenoid content. Since beets are so concentrated you only need a few spoonfuls a day to derive benefit and they could be either raw, fermented or cooked. Look for fermented beets in your natural foods store for a real nutrition boost. We know many vegetable nutrition facts about carrots. They are the star of the beta-carotene foods. Beta-carotene is an orange pigment with antioxidant effects and a precursor to vitamin A. It supports good vision. Carrots are also rich in vitamin K, B vitamins, phosphorus, calcium and iodine. Good for vision, lowers risk of macular degeneration and improves your night vision. 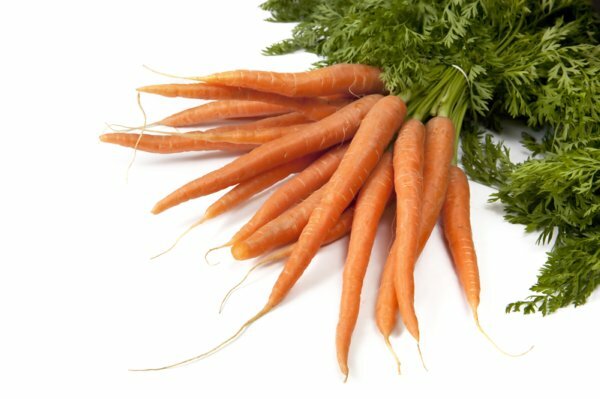 Carrots support your digestion, recommended for colitis and other intestinal disorders. Good for your liver, cardiovascular, and glandular systems. Vegetable nutrition facts about greens include that they contain so many great nutrients including folate, potassium, calcium, iron, carotenoids, fiber, vitamin E and vitamin C.
And there's more, they contain carotene, B vitamins, phosphorus and silicon, an essential mineral that plays a major role in preventing heart disease and Alzheimer's. 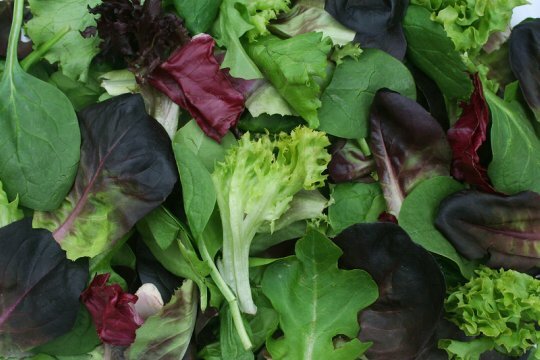 Dark leafy greens like dandelion, arugula, kale, collard greens, spinach, beet greens, romaine lettuce, watercress, swiss chard, mesclun, mache, radicchio benefit the nervous, digestive, detoxification, musculoskeletal systems. According to the Chicago Health and Aging Project, eating 3 servings of green leafy, yellow and cruciferous veggies daily can slow mental decline by 40%. Kale and arugula support brain function and prevent cancer tumors. Kale needs to be part of your anti-cancer diet. Swiss chard provides 15% of your daily requirement for magnesium, vitamin C, vitamin K and beta-carotene. When considering vegetable nutrition facts we may not think of the garlic bulb as a vegetable since it is used mainly to enhance flavor in dishes. However, it is the stem of the plant and it is edible so it qualifies as vegetable. 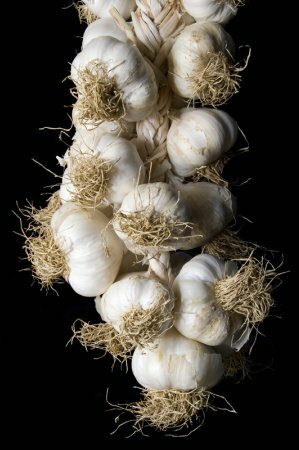 What other cultures and now modern science know about the garlic is that it is a most remarkable healing plant. Excellent source of manganese, good source of vitamin B6, vitamin C, vitamin B1, selenium, calcium, potassium,iron. Garlic is a powerful detoxifier and provides huge support for the body's natural defense system. Known as "green medicine" for whatever ails you in many cultures. Lowers cholesterol and thins the blood which helps prevent high blood pressure. Good for heart and circulation and blocks growth of cancer cells. It kills bacteria, fungi, and parasites and has been called "Russian penicillin" because it is used there as nature's antibiotic. Vegetable nutrition facts about the mushroom are that it is rich in selenium, contains protein, phosphorus, potassium, calcium, iron, rich in B complex vitamins, particularly biotin. Creminis are rich in riboflavin. Enokis are rich in vitamins D and B.
Porcinis are rich in niacin and potassium. All mushrooms are rich in polysaccharides, the carbohydrate molecules that support our natural immunity, sometimes called glyconutrients. They lower the risk of cancer. Beneficial to the endocrine, cardiovascular, respiratory, digestive and defense systems. Mushrooms support healthy skin, healthy nerves, good digestion, lower blood pressure, fight cancer and regulate immunity. Vegetable nutrition facts need to include that white potatoes are high glycemic (unless served cooked and chilled.) Red potatoes are the most nutritious. Potatoes have some of the B complex vitamins, vitamin C, lots of potassium, some calcium and they are loaded with fiber. Potatoes have many trace minerals, some carotenoids and the phytochemical antioxidants, polyphenols. The next plant is often just considered a garnish and that is a colossal mistake! I want to introduce you to the idea of using the Italian broadleaf parsley more as a food because vegetable nutrition facts confirm not only it's flavor enhancing properties but it's healthful benefits. Instead of sprinkling it on a bowl of spaghetti add 1/2 cup to the sauce chopped fine. Vegetable nutrition facts tell us it can relieve urinary tract infections, ease premenstrual discomfort and promote heart health. Contains an abundance of vitamin C - 1/2 cup fresh chopped parsley contains more than half your daily requirement! Parsley is also a good source of folate which protects you from heart disease and cancers of the colon and cervix. Parsley is known for cleaning your breath so eat a sprig of parsley after knocking back your minced garlic and you'll have a double whammy of nutrition. Cilantro, parsley's cousin, is sometimes called Mexican or Chinese parsley and it supports good colon health. Cilantro leaves in large quantities can also be used as a detoxification agent. Add to your green smoothies. Dried sea vegetables are found in the Asian section of your supermarket or in natural foods markets: kombu, wakame,dulse, arame, hijicki, nori. 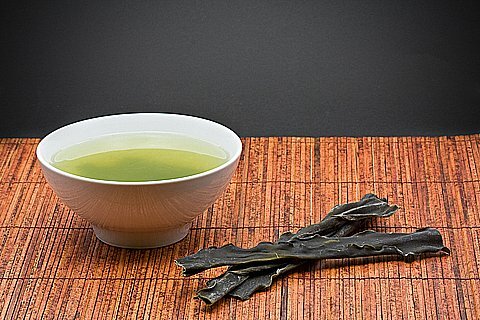 Kombu (shown above) supplies healthy levels of calcium, magnesium, iron and vitamin K. Kombu in a broth can reduce hypertension. The vegetable nutrition facts on these sea veggies are that they are amazing plant foods and contain an abundance of iodine, many vitamins, minerals, trace minerals and antioxidants. Source of vitamin B12, high in carotenoids and they supply all minerals and trace minerals! This is a highly significant fact because conventional soils that most commercial veggies are grown in are deficient in minerals because of industrial agriculture practices. Contain folate and many marine phytochemicals that help us to detox. Contain abundant chlorophyll which helps reverse the damage to DNA caused by cancers of the colon, breast and lung. Sea veggies stimulate your immune system, detoxify cells, provide calcium and aid in weight loss. The folate protects you against colon and breast cancer and helps to lower homocysteine, a risk factor for stroke. They are a great source of energy because of the abundance of minerals and trace minerals including manganese and potassium. Known for their anti-cancer properties. They inhibit tumor growth, boost immunity and prevent macular degeneration. They have been shown in studies to prevent and destroy tumors. Science is still studying the healthful properties of squash. Vegetable nutrition facts tell us that both summer and winter squash provide carotenoids and vitamin C plus potassium, calcium and fiber. At this time winter squash is considered to have more nutrients but the jury is still out on all the goodness of summer squash. Butternut squash contains the highest levels of vitamin C. It is an excellent source of alpha-carotene, which helps slow down the aging process. Squashes are high in insoluble fiber so they lower cholesterol and help to prevent colon cancer. Contain high amounts of potassium which lowers blood pressure and folate which helps to deactivate homocysteine. Winter squash is good for cardiovascular health and helps to support gastrointestinal balance. Zucchini is a power house of sodium and supports the alkalinity of the body. Sweet potatoes are related more to the squash family than potato family. There is no vegetable that is higher in beta-carotene content than the sweet potato. Therefore sweet potatoes offer protection against cancer, colds, infections and other diseases. Our bodies convert beta-carotene to vitamin A with the presence of bile salts. It's better to eat sweet potatoes with a little butter because fats stimulate the secretion of bile and help with the conversion. Sweet potatoes are a good source of iron, potassium, niacin and vitamin C. They contain fiber and are very rich in vitamin B6 and magnesium, nutrients that are highly protective against heart disease. Rich in saponins which are phytochemicals that function like natural antibiotics and stimulate the immune system. Lycopene accounts for their luscious red color and is the antioxidant that keeps all kinds of cancer away and protects the heart. 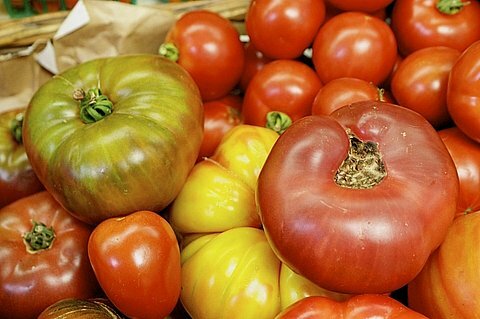 Tomatoes offer many more vitamins, minerals, trace minerals and phytochemicals including chlorophyll. They protect us against cancer, especially prostate cancer in men. They contain alpha lipoic acid, a powerful antioxidant, for improved memory and cellular integrity, tocopherols and tocotrienols (vitamin E) as well as the flavonoids, quercetin and rutin, all antioxidants for the blood vessels and capillaries. I hope these vegetable nutrition facts have surprised you and inspired you to include lots more veggies in your diet! Eat 5 - 10 servings a day and you will see the fat come off and your optimal health status rise exponentially! Not to mention that you will cut back dramatically on your medical expenses and medication use. Buy them vine ripened or grow your own if you are able. Excellent health begins in the garden, goes through the kitchen and then into you! * One resource for this page that I highly recommend has been The Doctors Book of Food Remedies: The Latest Findings on the Power of Food to Treat and Prevent Health Problems - From Aging and Diabetes to Ulcers and Yeast Infections by Selene Yeager and the Editors of Prevention magazine. For more articles on nutrition and it's role in weight management keep reading below! Stressed bodies need more nutrients. Polysaccharides are the super sugars that support optimal health and do not wreck havoc on your blood sugar. These are the proven fat burning foods. Your liver is your body's chief detoxifier. Your fat cells are loaded with toxins that need to be detoxed. When your body is getting all the nutrients it needs, including vitamins and minerals, it's far easier to lose fat. The anti-cancer diet prevents cancer and obesity. Return from Vegetable Nutrition Facts to Food Nutrition Facts. Return from Vegetable Nutrition Facts to Lifetime Fat Loss home page.